Today’s when Gears of War: Ultimate Edition will be exclusively released on the Windows 10 Store. A feat that was poised to bring a hallmark title of Microsoft Game Studios back to its original home on the PC. It was meant to be done it in style, to bring back a beloved series of which many gamers have warm memories and reintroduce it via the company’s latest and ever popular low level API DirectX 12. Sadly what we ended up with is “one of the most disastrous PC game launches in years” writes Forbes’s Jason Evangelho. He continued to advise AMD Radeon users to hold onto their dollars and wait this one out until at least some of the more major issues are addressed by the developers. The visual corruption you see above is only one of many of the game’s problems. In fact the game has some of the worst performance issues that we’ve almost ever seen out of a triple A title. Let’s first mention some of the issues that our friend Jason over at Forbes has run into and that we’ve also experienced ourselves at the lab while testing this, there’s no other word for it, unfinished game. First of all the game is an absolute stuttering mess that’s almost mistakable for a powerpoint slide show on several excellent high performance AMD Radeon cards for which running this game should otherwise be an absolute breeze. In fact the game is so broken that an AMD Radeon R7 370 performs better than an R9 380. A graphics card that features a much more powerful GPU and is typically 70% faster. This seemed completely wrong and so we repeated the test several times to make sure we’re not simply running into an anomaly. Surely enough we got the same result every single time and every other tech writer we’ve spoken to who has tested these two cards reported the same. This immediately raised a red flag for us and left us at sea. A Microsoft product that was supposed to be a shining beacon of what’s demonstrably possible on the leading edge of technology, a showcase for the company’s DirectX 12 API. 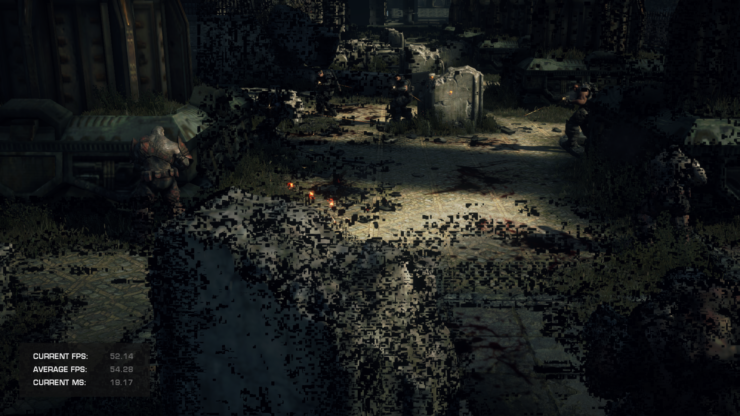 Our own Keith May breaks it down, the state of Gears Of War : Ultimate Edition and how you can fix that nasty visual corruption bug. AMD Radeon R9 290X Is Outperforming The Faster R9 Fury And R9 Nano By A Factor Of 2 To 1 – What Exactly Is Going On? The issues didn’t stop there either. 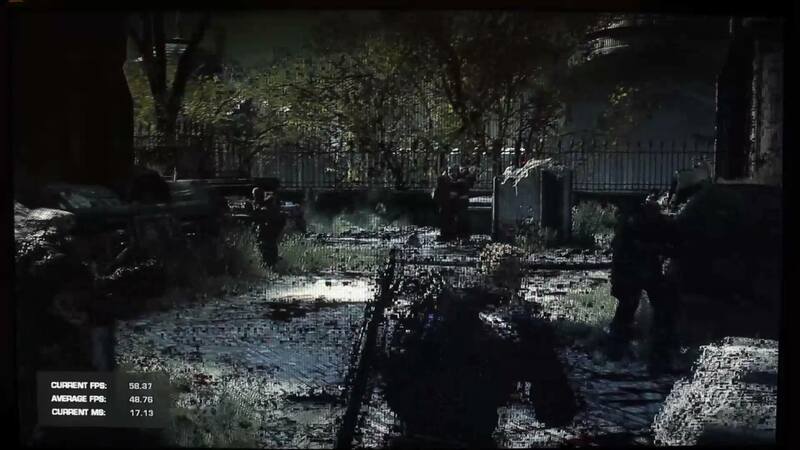 The game is an absolute stuttering mess on the AMD Radeon R9 Nano, a $500 graphics card rated at 8 TFLOPs of compute and features cutting edge stacked High Bandwidth Memory technology. The Nano performed worse than the R9 290X in our labs, significantly worse. The R9 Nano is a much more powerful card than the R9 290X mind – 8 TFLOPS vs 5.6 TFLOPS – you and there’s really no good reason whatsoever as to to why it performed the way it did. Jason Evangelho went the extra mile and recorded gameplay of the R9 Nano and R9 Fury cards, both of which are high-end $500 game munching machines. To demonstrate just to what extent these performance issues are prevalent and detrimental. What you’re watching is the Radeon Fury running the Gears of War: Ultimate Edition benchmark on my capable Intel test bench, at 1440p with High quality settings. These settings include FXAA and Ambient Occlusion. You’re also seeing horrendous hitching and stuttering, and some visual corruption thrown in for good measure, making the game completely unplayable on an excellent $500 graphics card. It’s not a matter of simply not performing up to the usual par either, the game simply behaves like an unfinished product on this card and several others. As if the developers didn’t even bother to test the game on different popular hardware configurations for quality assurance as one would expect which really boggles the mind. For the ultimate DirectX 12 evangilist, it was not only unexpected of Microsoft but certainly unacceptable that such a product made its way out the door. We’ve received reports of stuttering and hitching issues on Nvidia GeForce GTX 980 TI graphics cards as well. 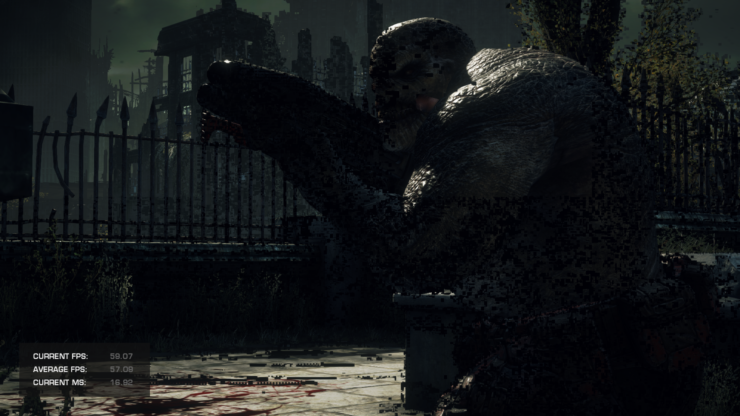 Nvidia has also just launched Game Ready drivers with specific optimizations and fixes for Gears of War : Ultimate Edition which you can find over here. – No multi-GPU support, SLI or Crossfire. – R9 290x outperforms R9 Nano. – R9 Nano and R9 380 experience terrible artifacting at high settings. – R9 Nano unplayable at 1440p and 4k due to stuttering/stalling. – Nvidia GSync support is broken. – Game doesn’t support exclusive full screen mode. It’s not yet clear what exactly is the culprit behind these bizarre performance crippling issues and visual glitches. But it’s looking more and more like we’ve got another Batman: Arkham Knight or Assassin’s Creed Unity on our hands. I think it’s worth mentioning that Gears of War : Ultimate Edition , bizarrely, supports async compute. A performance boosting DirectX 12 feature that Ashes of the Singularity also supports and AMD excels at. A feature that allowed the AMD Radeon graphics cards to establish a significant performance advantage over their Nvidia GeForce rivals in that title. All of which adds more to the mystery. At this point we can only wish that the developers can quickly remedy the situation and leave no room for unhealthy speculation and conspiracy theorizing. We’ll keep a close watch on the state of Gears of War : Ultimate and update everyone accordingly. In the meantime we’d advise PC gamers to play a bit of a wait and see game before pulling the trigger. For those of you who have already pulled the trigger, you should take a look at the known list of game issues and their suggested solutions below. AMD is an important partner bringing the promise of DirectX 12 to life for gamers everywhere. We are working closely with them to address a few issues encountered in Gears of War: Ultimate Edition for Windows 10 on AMD cards using GCN 1.1/GCN 1.2, and expect they will be addressed quickly in an upcoming update. Please visit AMD support pages for the latest on AMD drivers and software. G-Sync™ is not supported by Gears of War: Ultimate Edition for Windows 10. Running the Game with G-Sync™ enabled will cause significant performance issues. If you are using a G-Sync™ enabled monitor, you should disable it from the NVIDIA Control Panel. Alternatively, you can set Lock Framerate to OFF in the Video settings. The issue is being investigated together with our partners at NVIDIA and a driver update will be available in the future to address this. Please visit NVIDIA support pages for the latest on NVIDIA drivers and software.